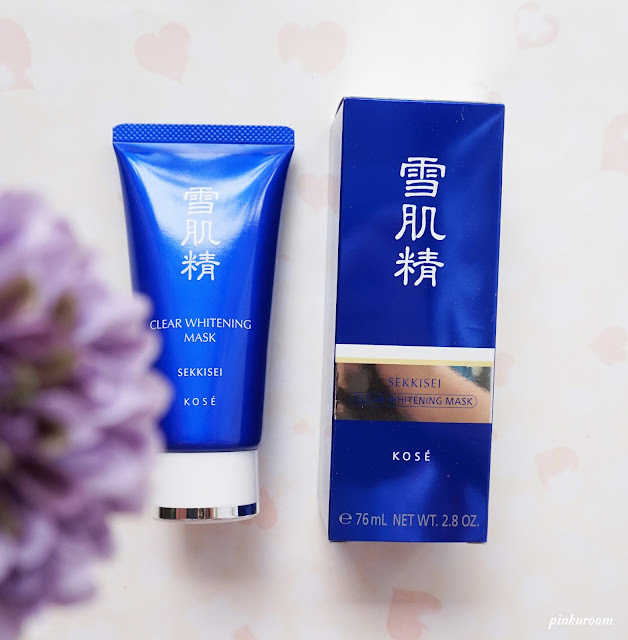 Today I want to review two products from Kose Sekkisei: Kose Sekkisei Clear Whitening Mask and Kose Sekkisei Lotion that I got from Kose Beauty Talk x Jean Milka at Holiday Inn, Emporium Pluit on 12 December 2015. 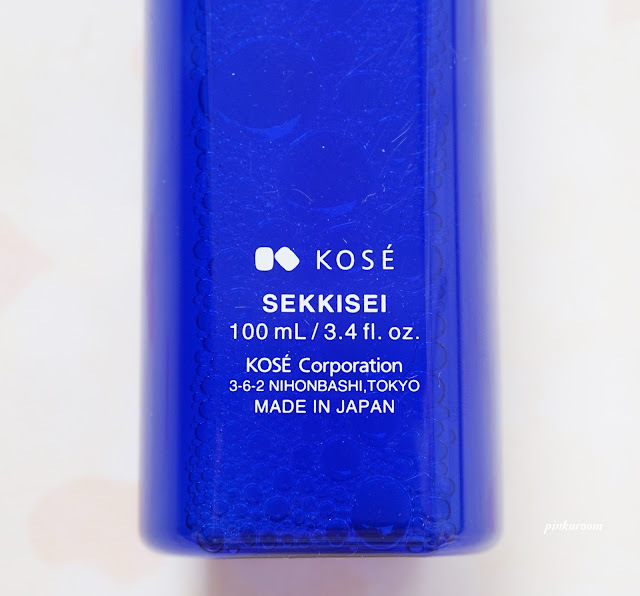 All of Kose products are made in Japan. 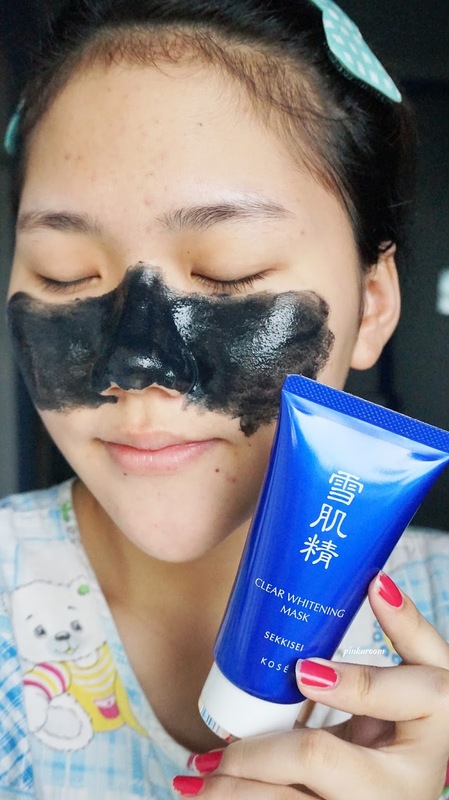 Many people gave good review of the Sekkisei Clear Whitening Mask so I really excited to try it. In this event we talk about skin care and is it important for our skin or not, when we should start using skin care routinely, and many more that related to beauty. 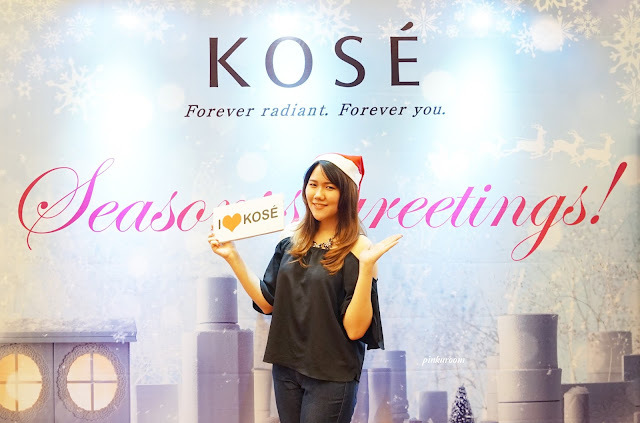 Also we get to know all Kose skin care products and learn the right way how to cleanse our face. Sekkisei Clear Whitening Mask is a black peel-off whitening mask that unclogs pores and removes dead surface cells. Instantly lifts away dullness to reveal smoother, more refined skin. 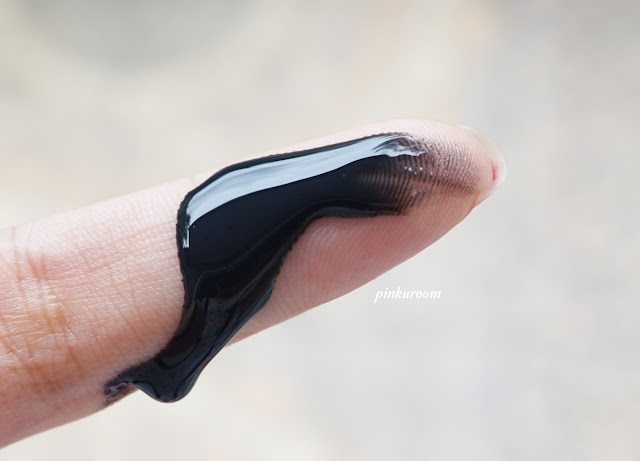 Also it helps minimize the appearence of dark spots for a radiant and even-toned complexion. How to use: Use once or twice a week. Apply even layer on clean, dry skin. Avoid eye area, eyebrows, hairline and lips. 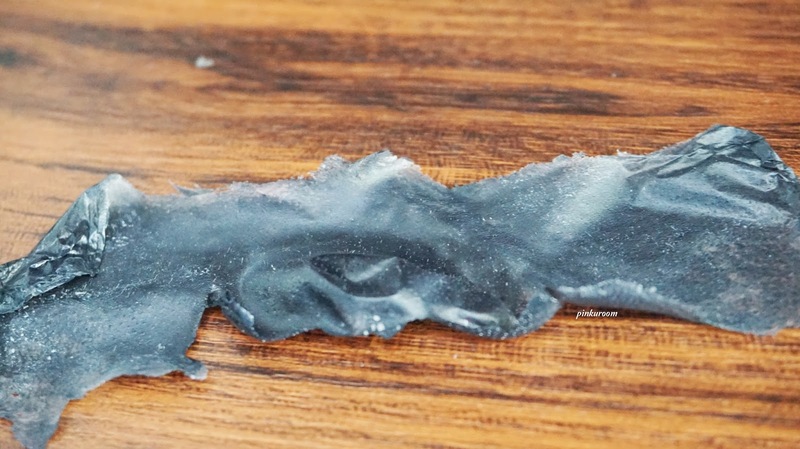 Leave on 20 minutes until completely dry, gently peel off mask from outer edges. I already used the sekkisei mask several times this past few weeks and I can say Kose Sekkisei Clear Whitening Mask is one of the best peel of mask that I've ever tried until now. 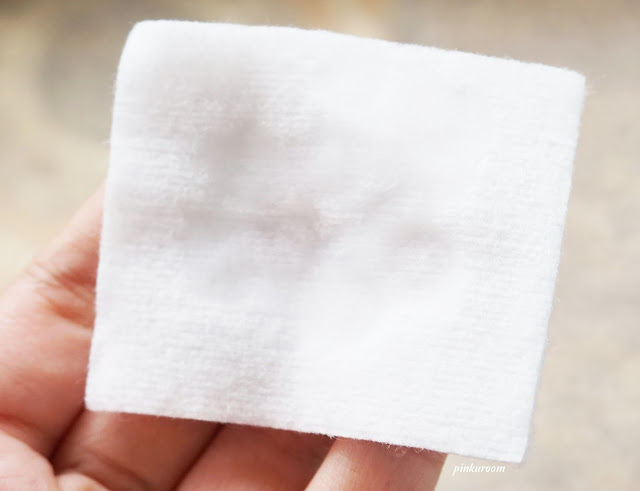 It does remove your blackheads and whiteheads. It said this mask can whiten your skin and the mask also peeled off your facial hair so automatically your skin will looks brighter after the mask peeled off. Since I routinely got facial there's not much blackheads and whiteheads on my face, only about 3 or 4 pieces that stick to the mask so it mostly remove my facial hair. 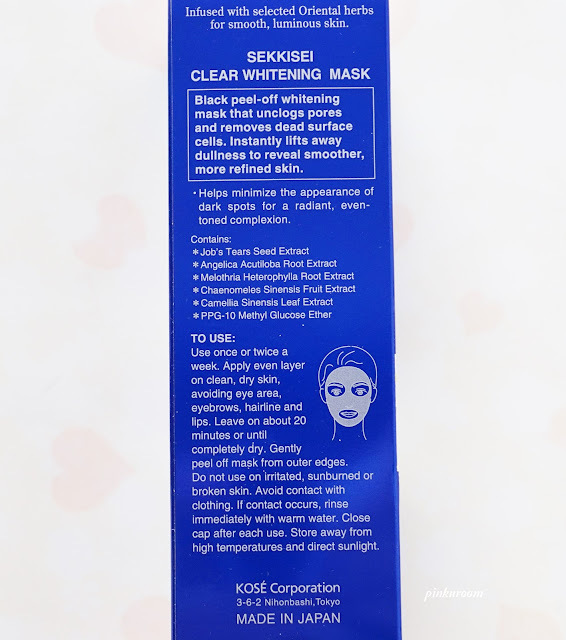 My mom and big sis also tried this Sekkisei Clear Whitening Mask and said it's really good. It helps remove facial hair on upper lips and smoothen their skin. 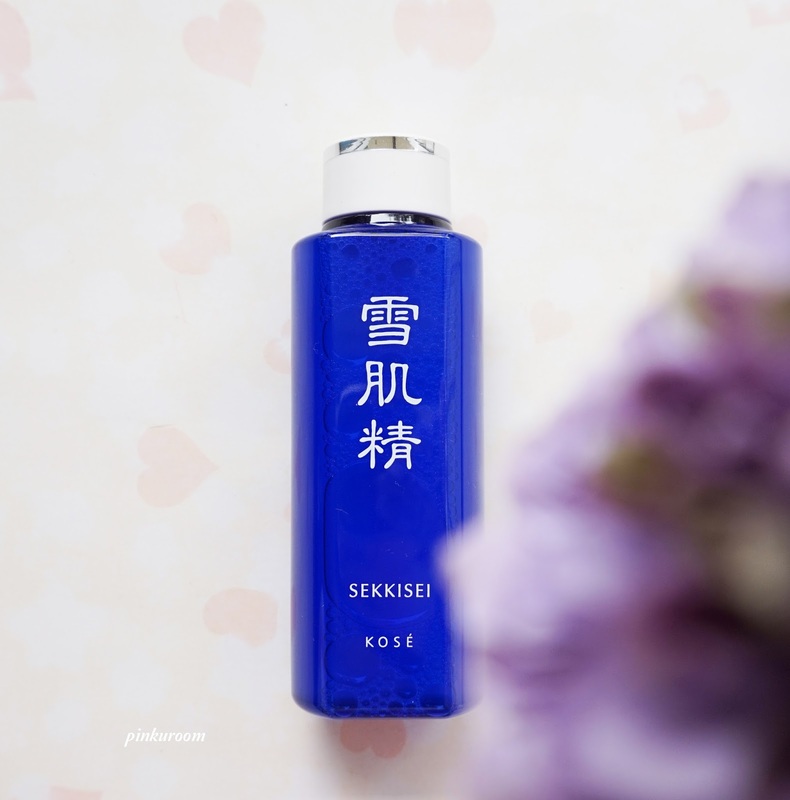 The other product that I will review in this post is Sekkisei Lotion. 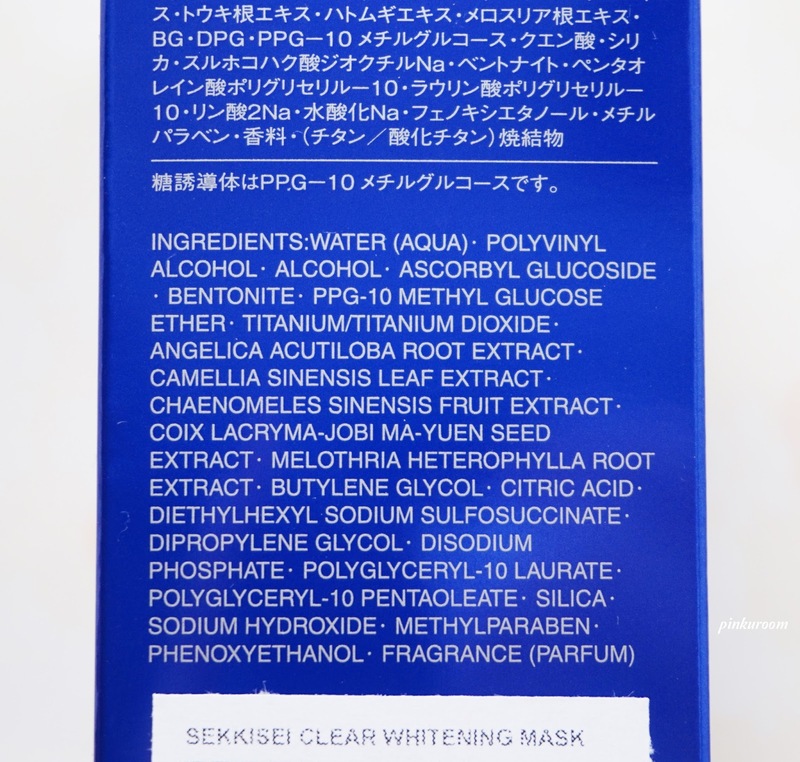 After I used Sekkisei Clear Whitening Mask, I continue with Sekkisei Lotion. Use Sekkisei lotion like a toner after you wash your face, pour it on a cotton pad and apply all over your face. 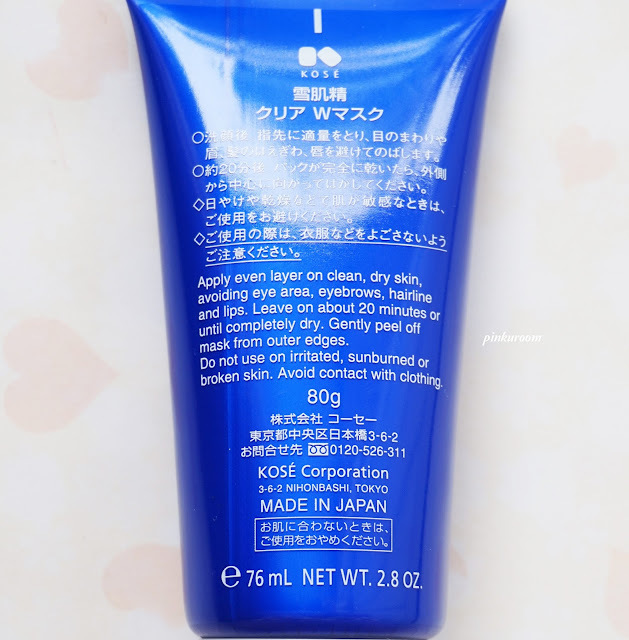 Sekkisei Lotion function is to moisturize and braces your skin. The smell of Sekkisei lotion is very strong, if you're sensitive with smell like me maybe the scent will bother you a little bit. I feel that Sekkisei lotion makes my skin a bit dry. I recommend this Sekkisei lotion if you have normal, combination, or very oily skin. My skin is combination so after I used this lotion several times my skin on cheek area is peeled off and feels itchy. I don't know why but I still used it on my forehead, nose and chin area, just avoid the dry part. Other than my cheek area it works well on me and my skin feels smoother than before. From 1-5 I give it 4!